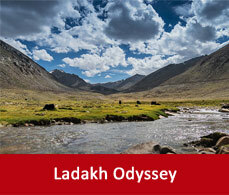 Ladakh can be reached by various modes of transport. A detailed description on how to reach Ladakh has been provided here to decide your mode of convenience before starting your journey there. 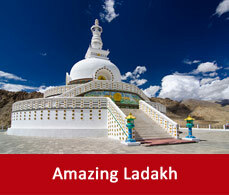 The only airport nearest to Ladakh is in Leh which is 8 km from the city centre. Flight services connects Leh with Delhi, Srinagar and Jammu. But it is advisable that before flying to such high altitudes you should always do a medical check up as persons with lungs problem and heart problem might face some hazards. There is no rail station in Leh. The only station available near Leh is in Jammu which is 739 kms from Leh. Leh can be reached from Srinagar and Jammu by road. 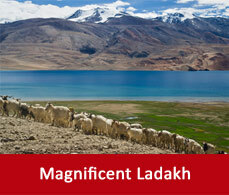 Leh is 434 km and 739 km from Srinagar and Jammu respectively. Leh is connected with Srinagar via a toad that passes through Kargil. This road is dramatically beautiful as you will drive past the high altitudes of the Zoji La pass. 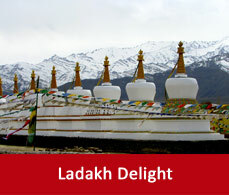 It remains open from June till November.It would be better that if you go to Ladakh by road and return by air. Then you can enjoy the beauty of both the views. Travelling by road will guide you through the mesmerising scenic beauty of the mountains and valleys and while you travel by air then you can enjoy the view from a high altitude. Taxis, buses and cars are available from Srinagar to travel to Leh. Leh - Manali road has been also opened for the tourists now which remains open from mid-July to mid-October.